Humanity has never stopped in its pursuit for higher productivity. In 1947, US completed the first autonomous transatlantic flight. 1983 witnessed the world’s first driverless metro – Métro de Lille – going live in France. In 2012, Google obtained the world’s first self-driving car license in Nevada, with its self-driving cars travelling 8 million kilometers as of March 2018. Every change seen throughout the industries is driving society towards a new era. Unlike autonomous cars, the telecom industry faces unique complexities. In terms of service diversity, a telecom network provides multiple services such as mobile, home broadband, and enterprise services. Therefore, an autonomous driving system must accurately understand the intent behind different services. As for the operating environment and road conditions, there are highways that act like data centers and urban and rural roads that provide broadband access to citizens. Therefore, autonomous driving systems must be able to adapt to complex environments that involve multiple technologies. From the perspective of full lifecycle operations, different roles, such as planning, O&M, and service provisioning, face different challenges. Autonomous driving networks go far beyond the innovation of a single product, and are more about innovating system architecture and business models. Huawei calls for all industry players to work together to clearly define standards and guide technological innovation and rollout. Based on service experience and operating efficiency, Huawei has proposed five levels of autonomous driving networks for the telecom industry. L0 manual O&M: The system delivers assisted monitoring capabilities, which means all dynamic tasks have to be executed manually. L1 assisted O&M: The system executes a certain sub-task based on existing rules to increase execution efficiency. L2 partial autonomous network: The system enables closed-loop O&M for certain units under certain external environments, lowering the bar for personnel experience and skills. L3 conditional autonomous network: Building on L2 capabilities, the system can sense real-time environmental changes, and in certain domains, optimize and adjust itself to the external environment to enable intent-based closed-loop management. L4 highly autonomous network: Building on L3 capabilities, the system enables, in a more complicated cross-domain environment, predictive or active closed-loop management of service and customer experience-driven networks. This allows operators to resolve network faults prior to customer complaints, reduce service outages and customer complaints, and ultimately, improve customer satisfaction. L5 full autonomous network: This level is the ultimate goal for telecom network evolution. The system possesses closed-loop automation capabilities across multiple services, multiple domains, and the entire lifecycle, achieving autonomous driving networks. 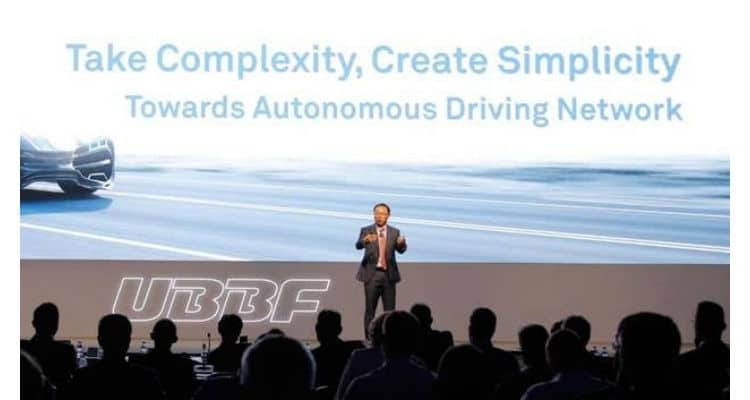 Huawei has made bold innovations and explorations into autonomous driving networks, and has developed the Intent-Driven Network (IDN) and other solutions. These solutions cover various scenarios such as broadband access, IP networks, optical networks, data center networks, and enterprise private lines, aiming to help operators and enterprises digitize their networks centering on service experience. Huawei and leading global operators jointly launched the NetCity project to define business scenarios and implemented innovations following the DevOps model to rapidly deploy cutting-edge technologies. Huawei’s David Wang: Moving Towards Autonomous Driving Networks 0 out of 5 based on 0 ratings. 0 user reviews.